Additional breaks are set for October 19 (Fall Break), February 15 (Winter Break/Snow Day) and April 22 (Easter Break/Snow Day). Parent Teacher Conferences are scheduled for September 24 and February 18. Professional Development Days for staff are tentatively scheduled for August 2, 3, 6-10, and 13, October 22 and January 7. Students will not attend school on Parent Teacher Conference or Professional Development Days. In the event of emergency school cancellations due to inclement weather where AMI Days could not be utilized, February 15 and April 22 would be used as make-up days. 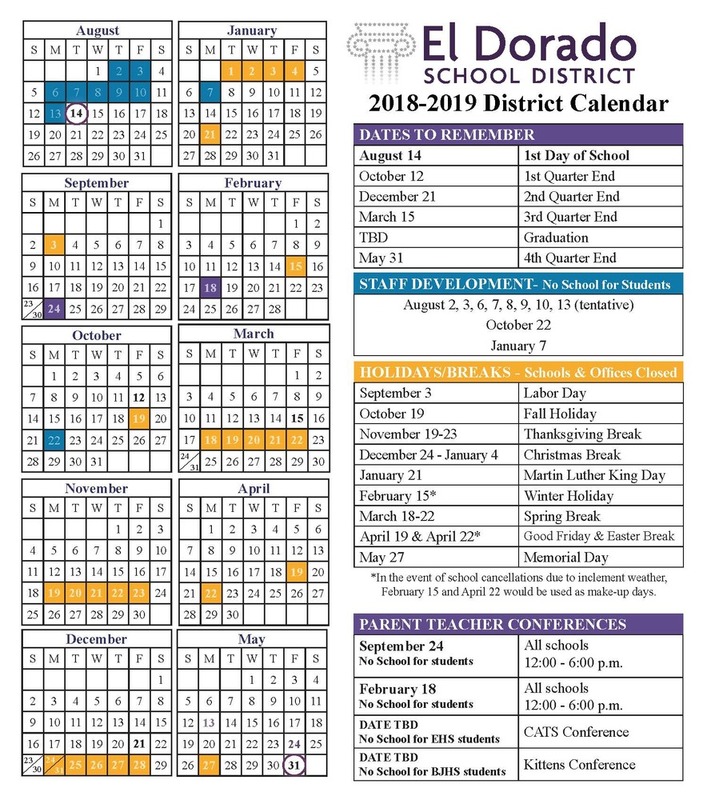 The district realizes the additional breaks may provide a hardship for some parents who will need to find childcare for those days, but hopes that releasing the calendar now will allow ample time for planning for the days off. Other schools in Arkansas and across the country who have utilized similar modified calendars have seen great results in both teacher retention and student success.